Like usual, it was a slow week. No missions had really come in for Niko to take part in, especially since he had gained the rank of Chuunin. The young Hatake was just a patient person, yet even the most patient of individuals have a small amount of demanding wishes for whatever it is they are waiting upon to occur. He had the ambition to improve and become a stronger shinobi, not only for himself, but for all of those he cared for. His father, his squad-mates, his friends. Even though he had a very minute amount of individuals he cared about, he also cared about his village as a whole. Sure, many of the residents got on his nerves or he thought were insignificant at times, yet it was the idea of the village as a whole that inspired him to become a stronger protector. The Will of Fire as it’s called. The idea was rumored to have originated by the First Hokage, Hashirama Senju. The belief states that every true Konoha shinobi must love, believe, cherish and fight for the village's sake, as previous generations had done before them. The “Will of Fire” ideal has been handed down to most Leaf ninja over the years, and has been especially instilled through those of the Senju and Sarutobi clans, due to their ancestors, Hashirama Senju (First Hokage) and Hiruzen Sarutobi (Third Hokage) being strong proclaimers of this virtuous belief. So it seems that this ideal had been passed down unto Niko Hatake, in a slightly different capacity than others who also were taught about the “Will of Fire.” Sure, the general welfare for the village was a motivation for the white/grey haired boy, but regardless of this, many individuals in the village had shown distaste for him, and vice versa. Now, back to the current focus and onto the current story at hand. The freshly anointed Journeyman ninja walked into the Administration Building. If he wasn’t going to be assigned a mission or reached out to, he would request for a job to be given to him. He walked up to the usual woman he conversed with. She worked in the department that organized and handled the current missions for Konoha shinobi to go accomplish. “Why are you so hesitant to give me that mission?” Niko could see it in her facial expression and the way she replied to him. “Well, I’ll take it regardless of what it entails. So what are the details of this mission? “How many are there?” Niko blatantly snapped. Niko was very slightly taken aback by the number of this group. He thought it’d be a few pesky men causing trouble over in Hioko, when actually, it was a goddamned militia controlling the town. After the brief amazement at the sheer number of force this group possessed, he accepted the mission. Niko thought for a moment about her statement. She was being practical, even though Niko didn’t care to bring anyone else along. Going on a whim and thinking of her proposal, he then thought of someone who he was fine with going on this mission with. Takeshi woke up to the smell of his mother’s cooking in the kitchen, the smell of eggs always stirred his stomach, in a good way. Since he was never much of a morning person, it still took him awhile to fully control his body. The food called his name over and over, it was almost like a hand was under his nose, controlling him to get out of his bed. After a five minuted struggle, he found himself in the kitchen. His mother had already prepared his plate and left it on the counter for him to get on his own accord. The plate had wide selection of different things that he liked for breakfast. He took his time to eat it, since this was his day off. He had trouble managing his time now that he was assigned to different things due to his new rank. His days off also seemed to have shrunk. In a way, he missed being a Genin, since all he had to was walk dogs and all that. He planned on spending this day by just reading one of his books, since he never had the time to do that anymore. As he read the books, he heard a knocking at his door. He got up from his relaxing state to see who it was. He already had a good idea as to who it was, but he has been surprised before. Once he opened the door he saw his mother’s face that had a bright smile on it. She then gave Takeshi a piece of paper and said something about picking up groceries. He wasn’t really paying attention, all he heard was him wasting part of his off day picking up some food. So, he found himself walking down the down the street in his mission clothing. Normally he would just wear casual clothes, but he felt a little adventurous. He walked all across Konoha until he found himself at the market place where they sold all that stuff. On the list had tonight dinner which would probably consist of onions, garlic, and some other random stuff that Takeshi was too irritated to pay any real attention to. He got harassed by the endless amount of merchants at the place that all had some kind of deal that wasn’t really a deal. The kids that ran around with parents that seemed to not be around at the moment. The only thing that really was good about this whole ordeal was the weather, which always seemed to be nice. He was checking the quality of the produce when somebody ran up to him. It seemed to be a low level ninja from the job office. He spoke of something concerning a job, but Takeshi found this odd because it was supposed to be his off day. He was then informed that he had to help out a Chuunin level ninja named Niko Hatake. The only thing Takeshi thought about at that moment was why him? There had to be more ninja out there that could tag along as well. So why did the guys up top had to choose him. He finished shopping for the groceries and went back to his house. He had to inform his mother that he had to leave on some mission. She nodded and wished him luck. Takeshi didn’t have a lot to take, he didn’t really carry any ninja tools, though he thought he should start doing that. He was on his way to the administrative office to see what the mission was and where he had to go. It didn’t take him long to reach the office, but he didn’t see Niko there, instead he was greeted by a lady. When Takeshi asked about what mission he was assigned to exactly, she stated that it was a B ranked mission. It was the first time he had to one of those, but then he was informed that he had to travel to some town. He asked the reason as to why this mission had such a high rank. She in turn told him that he was going to have to fight like fifty guys. Takeshi shook his head being slightly frustrated. He didn’t want to go do such a thing, but he knew his ninja duties came first, so he couldn’t complain about it too much. The mission was only B ranked, so it couldn’t have been too hard. Takeshi had faith in his own capabilities, but he wondered if Niko had improved any since their last mission together. He had to at least grow a little bit, otherwise they wouldn’t have promoted him. At least, thats what Takeshi hoped. He didn’t want to have to worry about someone if they had to fight a lot of people. He made his way to the main gate to where Niko was. The young Hatake gave the receptionist a slight nod and a wave as he exited the Administration Building to start walking towards the front gate of Konoha. 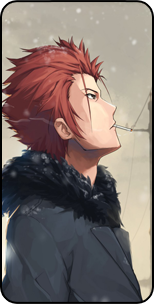 Arriving at his meeting point with Takeshi, he leaned up against one of the walls of the check-in station. Niko started thinking of whatever he could to pass the time while he waited for his red-haired companion. He looked down at his attire. He was wearing his usual outfit. A black tank top, grey shorts, and blue open-toed sandals. He had his dog tag around his neck and a pair of fingerless gloves with a metal plate on each of the glove’s backhand. Niko then reminded himself that he should get a Konoha flak jacket sometime soon. The jackets had many pouches to contain tools and such within. They were useful against regular ninja tools and mid-to-low level jutsu. The vests are very light and didn’t impair the user’s movement at all. Also, on the white haired boy’s “wish list”, he needed a regular shinobi headband as well. The forehead protector was useful if anyone were to attack his cranium and would identify him as a Konoha shinobi. He didn’t make an effort to go get this yet, seeing as how he had the insignia of the Hatakes and the village on his dog tag and his gloves. He was always performing tasks within the village as a Genin anyways, so he didn’t need to identify himself to others anyways. Finally, after a short while, the red-haired Uzumaki was in close proximity of the gate, since the Chuunin could see him in the distance. Niko waved to him and awaited for him to reach the gate so they could go over the mission details. Making his way to the main gate, he could see Niko from a distance. He wasn’t sure if that was really him or not, but he didn’t know too many people with that hair color. As he got closer, he was sure that it was Niko. Instead of going straight to Niko, he had to the front gate desk so they could be noted. It was important to check in with them because for one, they wouldn’t let you leave the main gate any way, and two, if you ever left the main gate without checking in with them, they would automatically mark you as a missing ninja. After taking care of that bit, he then turned to Niko with a slightly irritated face. “It was my off day you know. I planned on just chillin with my book. Now I gotta go kill people, thank you for that man, thanks.” Takeshi then turned away and began to walk to the main gate. “Lets get a move on, I don’t want to arrive too late.” He then set off first walking away from the gate at a good pace, but as they got farther and farther away, he started to pick up his pace. He never liked to just start off running because there would be too much traffic heading in and out of the village. He would be constantly running into people. After he got to a certain distance, he turned around to see if Niko was still behind him. “We’re going to cut through these woods, I’m going to go fast, so try and keep up” With that, Takeshi jumped into the woods and jumped from branch to branch like he had been doing this all his life. Without the slightest doubt, the pair glided swiftly across the forest. From branch to branch they leapt, trying to get to their destination as soon as possible. Niko decided to go over their mission strategy before they arrived in Hioko. He cracked his knuckles and without listening for his comrade’s response, he dashed ahead of Takeshi on their way to the town of Hioko. They coasted swiftly and quietly through the forest, coming across the occasional squirrel on a branch. Takeshi looked behind him every now and then to see if Niko was still behind him, and Niko was doing an excellent job and keeping up. Though, it wasn’t like they were in a race of some kind. The weather out wasn’t too hot, so Takeshi didn’t find it uncomfortable in his coat that he always wore. After going from branch to branch for what seemed like an hour, he heard Niko saying something. “This is what we’re going to do. I walk into the town by myself. Once I see the mob of whomever is terrorizing the town, you engage them from the other side. After that, you may do as you wish. Dead or alive, these guys are to be dealt with. I honestly don’t care, I just want to get this over with.” Keeping at the same pace he had been going all this time, Takeshi found what Niko amusing. He found it funny how he was trying to become the squad leader, even though Takeshi still had the final say in what had to be done. Takeshi however wasn’t the type of guy to fight over power, so he wasn’t going to try and force his authority on Niko. All Takeshi did was nod and keep his pace, not a single negative thought came up in his mind. If Niko wanted to truly do that, he had Takeshi’s blessing. Niko already proved himself to be a capable fighter, so Takeshi didn’t have much to worry about. He watched as Niko passed him up, the only thing Takeshi could do was smile at his enthusiasm. Without too much time passing by, they found themselves at the edge of the forest. Niko stopped ahead of him and threw his hand out in a balled fist.Takeshi quickly stopping, Takeshi listened to what Niko had to say. “Alright, this is where we’ll part ways for now.” After his quick statement, Niko stood up from his crouching position and started to speak once again. The reason why I requested you for this mission is because I can trust you out in whatever conflict we get into. Even if it was just one fight against pesky Leaf shinobi less-skilled than us, you showed me that you’re a skilled and intelligent fighter.” Takeshi just nodded at Niko’s compliment, he was in mission mode. He would accept the compliment after everything went down. He didn’t want to lose this focus he had. After that, Takeshi watch Niko make his way to the town, while he took an alternative route. Walking into the town of Hioko. Niko didn’t worry about Takeshi one bit, nor either of their fighting strategies for this occasion. Just kick the asses of the troublesome gang, subdue them, and then go along their business. Seemed simple enough. As he reached the center of the town, he saw the militia who was causing havoc in a large mob. Niko thought “Guess I didn’t have to ask around at all to find these guys.” A man was on top of something addressing the crowd. There were dozens of them, just as reported. They all carried conventional weapons. He launched his fist into a random member of the gang and started to attack all of them. The leader who was addressing his men said loudly “Get him! Deal with that brat!” They crowded him immediately after their leader’s order. Niko jumped into the air and kicked two of the men in the face at the same time. He backflipped off their faces and got into his Jeet Kune Do stance. The part of the crowd that focused on him rushed at Niko. He kneed one of them in stomach and threw him into the ground. Another one of them tried to cut him in in his abdominal area with a katana. Niko stepped backwards and grabbed a hold of the user’s wrist. He broke the wrist and grasped the blade. He then impaled his attacker in his chest and threw him to the side, readying himself for the next one foolish enough to combat him. In all of the commotion, he had no idea whether Takeshi was holding up or not. He withdrew this thought to the back of his mind. Another man, this time with a measly kunai attacked the Hatake. He attempted to stab the Chuunin in the mid-section, but to no avail. Niko side-stepped and tripped the man, stomping his face in so he could be incapacitated. Two assailants rushed at the same time at the new swordsman, one carrying a kunai knife, with the other throwing shuriken at the Hatake. Dodging the projectiles, he jumped in the air and performed the Leaf Gale (木ノ葉烈風 ~ Konoha Reppū), a simple, yet powerful rear spinning low kick, into the mid-section of the kunai wielder, while cutting of the right arm of the shuriken thrower with the borrowed katana. As the carnage continued to pile up, Niko kept close watch on the leader of these men. He had to fight his way to him and disable the driving force of this gang. He looked ready for the shinobi to encounter him, with a bit of worry upon his face. No matter, Niko would deal with him eventually. This time, five men with various weaponry came at the Leaf shinobi from different sides. He jumped up in the air and put the handle of the katana in his mouth. He clenched down upon it with his teeth to hold it in place for the time being. Weaving hand-signs fastly, he channeled chakra from his body. Opening his palms and lining them up with his adversaries down below, streams of lightning burst from his palms and were directed onto the targets. They screamed in agony due to the electricity streaming through their bodies. They wouldn’t die, but they would be paralyzed for a short while. Landing on both feet, the Hatake rushed at the crowd who looked a bit more fearful now, seeing the feats of the young Leaf shinobi. Grasping his katana with his right hand, he placed his left on the ground. In a flash, he leapt into crowd and used the blade to cut open the stomachs of 3 or 4 men before deciding to go for the ringleader fo the gang. Jumping one more time, towards the leader of the faction, he noticed in his opponent’s eyes that he was fearful. Niko liked this fear and his ego fed upon it. Kicking the stomach of the gang’s leader, he flew off of his pedestal and onto the ground. Niko threw the katana right at the head of the leader’s head. as the blade came near his cranium, he shrieked in terror as the tool of destruction approached him swiftly, closing his eyes before his untimely death. After the bold statement, the leader of the gang and his associates who were still standing ran away from the town. Niko saw Takeshi standing alone in the middle of the carnage. He nodded to him. A villager came out to greet the white-haired shinobi and gave him thanks for his deed. The Hatake responded “I appreciate your thanks. I’m going to stay around and help you guys clean up my mess.” he chuckled slightly. “I’ll let my comrade here depart now. He still has a book he needs to read today.” giving a grin to the townsman as he stated Takeshi’s agenda. The white-haired boy walked over to the fallen adversaries and attended to the mess he helped create during the conflict. Takeshi found himself hidden within the crowd with no problem. He was using his transformation jutsu to help hide himself among the crowd. He did this knowing that there wasn’t any ninja skilled enough to know it was just jutsu. Among the crowd were a few of the people from the militia he and Niko were assigned to deal with. Takeshi didn’t want to blow his and Niko’s cover just yet. Takeshi made his way through the crowd unnoticed until he came to the end of where all the people gathered. From this spot Takeshi could see what looked like to be the leader of this little army. He didn’t look to bad, though he did at least looked seasoned. Looking around, he spotted Niko, who at this point was walking up towards the leader of the group. There was a good twenty guys between him and the leader, with another few hidden within the crowd. Takeshi wasn’t sure what Niko was doing until he saw him do it which made Takeshi make a face he never made before. He listened as Niko made his statement and then punch some guy in the face. Which lead to to him stepping on face of a few other people. Takeshi watched as Niko took his taijutsu stance, which made Takeshi think that he should take up taijutsu as well. This however wasn’t the time to brood on that, the enemies number was increasing, and it would be a problem for Niko to take on by himself. So Takeshi canceled his transformation jutsu and stopped two guys from jumping into the fray. He grabbed them by their collars and threw them back. Takeshi didn’t have a taijutsu stance, so instead he just put his hands up in front of his face. One guy with his katana made a downward slash with his katana. Takeshi simply moved to the left and gave him a strong right straight punch aiming right for the guy’s nose. Turning his head slightly to the right, he could see someone slashing downwards again, so he moved to the left again. He then kicked him in the stomach when he got close enough, which made him drop his sword. After the kick, he grabbed the guy’s head and pushed him to the ground face first. Even though he had no skills in taijutsu, Takeshi found this easy. Maybe it was because of his experience as a ninja made up for his taijutsu skills. The guys seemed to move in slow motion when they attacked. He was able to read their movements clearly, combined with the fact that they had very little experience with the tools that they were using. As the fight continued, Takeshi’s main goal was to try and see where all the guys were at the same time. They made it quite easy, since they never really attacked at the same time. Most of the time one would charge in, and a few seconds later another one, maybe even two would charge in as well. They didn’t seem to understand the fact that all Takeshi needed was two seconds. Two seconds was more than enough time to punch someone in face, or disarm them. Sometimes they would even try to overpower Takeshi with their brute strength. Which they soon found out that doing it like that wouldn’t work. Takeshi may have looked skinny and weak, but in reality he was built to fit his body. He didn’t lift weights, instead he would just lift his own body’s weight, doing it like that made sure that he wouldn’t build more muscle than he really needed. That would only start to slow him down, it was a very simple training regime that is taught at the academy, though very little people actually stuck to it. Its a very slow training regime that takes time to fully work, and people just wanted to get strong really fast. In any case, Takeshi looked over to see if Niko was okay, and he was. After fighting a few more guys, Takeshi could tell that their numbers was starting to thin out. Takeshi then heard a lady scream so he looked around to see what she was going on about. Takeshi could see Niko in the air getting ready to throw a sword at the leaders head. Takeshi was getting ready to stop it from hitting the man’s head, but it was too late. As it turns out, Niko missed, probably on purpose. The small town would have to think of a way to punish the man now. After everything was said and done, Niko took the responsibility of cleaning up the little mess they made. Niko gave Takeshi a pat on the back, and Takeshi pat Niko on the back. All was well, so Takeshi got to go back home and read his book, in peace.